This week Sara Lee cheese is on sale! 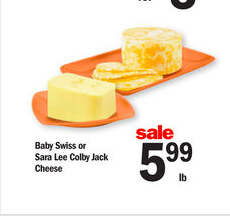 Regular price is $6.99/lb but this week it is $5.99! 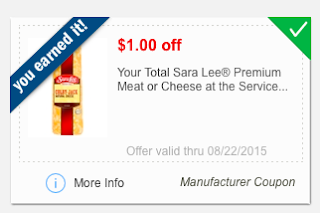 Paired with the mPerks coupon, you can get around 8-10 thinly sliced cheese for around $0.20 after coupon! PLUS it count's towards the new reward that came out over night!